This summer Academy of Art University School of Fashion is partnering with San Francisco activist Juanita MORE! in her effort to raise money in support of the Lesbian Gay Bisexual Transgender Queer (LGBTQ) community during San Francisco Pride Week. MORE!, a celebrated drag performer, fundraises with a variety of LGBTQ organizations each year in conjunction with Pride Week and has chosen to raise money for the Youth Empowerment Summit (Y.E.S.) for her annual Pride Party on June 28. 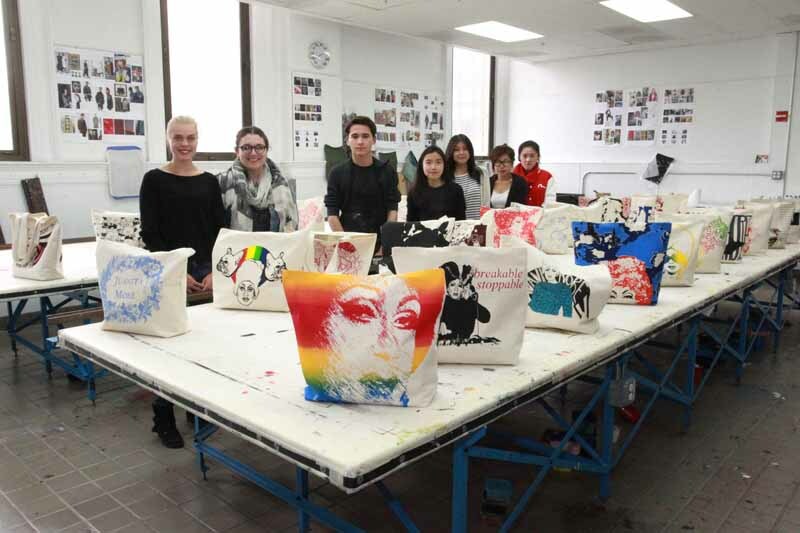 Eight School of Fashion Textile Design students from the Applied Textiles 3 course have hand-printed imagery inspired by MORE! and her French Bulldog, Jackson, on 32 100% organic cotton tote bags made in the U.S. with eco-friendly, water-based ink. MORE! selected her four favorite bags to be produced locally by Morrison Productions and distributed to select retailers in San Francisco; the winning totes are currently for sale at Sui Generis Consignment, Unionmade, ATYS Contemporary Design, s16 Home, Asterisk San Francisco and M.A.C. Modern Appealing Clothing. The bags are priced at $25 and all proceeds will go to Y.E.S. 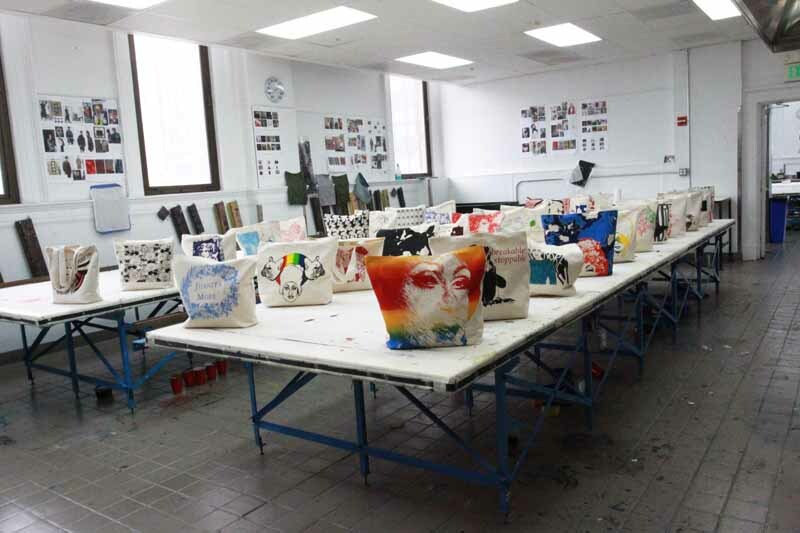 The remaining 28 totes are being sold at Academy of Art University’s store, SHOP657, as one-of-a-kind items for $15 each with all proceeds going to Y.E.S. SHOP657, located at 657 Sutter Street, is open Thursday, Friday and Saturdays from 1-6 p.m.